Riot Fest, the increasingly popular punk-themed festival, recently made the decision to move from Humboldt Park to Douglas Park in North Lawndale. 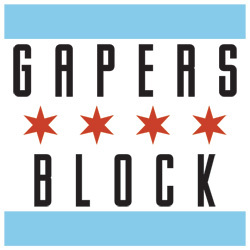 The move comes after Ald. Roberto Maldonado vowed to keep Riot Fest from returning, which spurred neighborhood residents to stand their ground and protect the park, which was heavily damaged after the most recent festival. The conflict is possibly being reduced to just fighting gentrification, but that is not the only problem. 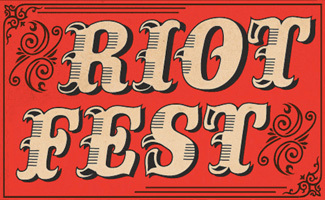 Riot Fest began in 2005 as a punk festival scattered at various venues throughout the city. The festival moved to Humboldt Park in 2012, adding the carnival aspect, as well as expanding to produce Riot Fests in other North American cities -- this year Riot Fest will be held in Denver and Toronto in addition to Chicago. Humboldt Park, for those who have ever ventured there outside of the festival, is a gorgeous park and a valuable asset to the community. It is ultimately inevitable there will be damage to a park after a festival, particularly when it rains. This seems to happen every year with Lollapalooza, whose organizers and promoters pay for the repairs essential for Grant Park to returned to its beauty. The difference is if Grant Park is damaged it does not inconvenience people in the same way the damage to Humboldt Park does. If Grant Park is damaged during Lollapalooza, it is still fairly usable. Grant Park does not serve the same purpose as Humboldt Park. Grant Park is known as "Chicago's front yard." Humboldt Park is a community park with basketball courts, baseball diamonds, playgrounds and a community garden. The closest analogue for a park is Union Park, where the Pitchfork Music Festival is held every year. Union Park still has significantly fewer resources than Humboldt Park does. Union Park is also smaller than Humboldt Park. In an ideal world, Humboldt Park would be viewed as one of the crown jewels for the Chicago Park District due to the variety of things to do in the park. When this particular park is severely damaged, it keeps the community from having a gathering place and a safe space for children to play. It is entirely likely Riot Fest grew faster than anyone could have anticipated. Moving it to Humboldt Park was a good move in 2012 because the festival had outgrown the variety of venues in previous years. Riot Fest has now become one of the three big music festivals in Chicago alongside Pitchfork and Lollapalooza. Riot Fest really needed a larger to park to continue to grow. In just three years it had become too big for the current venue it occupies. Douglas Park, which is a larger space, hopefully is a better venue for Riot Fest. Logistically, it seems like a good choice as it is right off of the California Pink Line stop and located next to Mount Sinai Hospital. There will inevitably be people who refuse to go to the festival since it is located in North Lawndale. Riot Fest is even refunding the tickets purchased by people who already know they don't want to go to the new location. Anyone who has glanced at the Riot Fest Twitter account saw tweets of people complaining about going to the "ghetto" to attend the festival in previous years. If they had issues with traveling to Humboldt Park, they probably will not even bother going to North Lawndale. But then the issue arises with all of the three big festivals in the fact they are using public, city-funded greenspaces meant for the enjoyment of Chicagoans for events only open to those who are willing to shell out money to attend. The average Chicagoan cannot afford to attend any of those festivals, and the parks are off limits to them and their families for a weekend, sometimes for several weeks if there is damage. If it is held somewhere like Northerly Island, which has the FirstMerit Bank Pavilion, it is a different situation as there is a space intended for a festival. Humboldt Park and the other parks mentioned were never designed to hold such events. 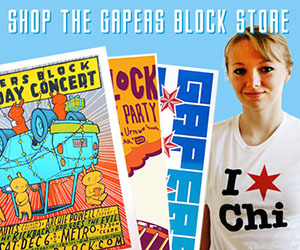 In Riot Fest's earlier years, holding it at music venues throughout the city worked well. It kept things from possibly getting out of hand and did not keep city resources from residents. Why not hold Riot Fest at the United Center or in the parking of the United Center like Cirque du Soleil does with its tours? What if one of the promoters bought a parcel of land and turned it into a festival ground whose sole purpose is to hold festivals? Why do these festivals have to be held in city parks? The reason is likely because Chicago has lovely parks. Riot Fest owner Mike Petryshyn told DNAinfo, "There are very few places in Chicago that are as beautiful as Humboldt Park itself." But those parks ultimately are for the community and are only beautiful until they are destroyed by festival goers creating giant mud pits. One can only hope the best of luck to Riot Fest in its current location. Hopefully attendees will bring great things and business to North Lawndale during weekends outside of when the festival occurs. - how did you get/measure the information to come to this conclusion? f/u question, when was the last time the park was resodded w/o a sponsor? And how close is Ald. Maldonado to being able to reopen the much ballyhooed HP beach without private funds? Riot fest may be kind of dumb, but at least they were willing to throw money at the problem so the park is useable year-round. I wonder if all the businesses in the area agree with Maldonado's decision to kick Riot Fest out. I doubt it. Boo hoo, some grass turned into mud. It happens. There's MORE than enough room in the park and no one is forcing people to play in the mud from Sept. 12th until the end of Oct. when no one goes to the park anymore. It was resodded within 2 weeks, cry me a river. Regardless, the fest will pump some money into North Lawndale as the area struggles to get to it's feet and move forward. They've made great strides in the last couple years, so hopefully this is the life buoy it needs. Good riddance, Maldonado!